Last summer I asked y'all to share your parties with us as part of my "It's My Party" series. It's been a while since I collected entries, but I figured lots of great parties had probably happened since I last asked for submissions so I'm opening it up again! My plan is to feature a set of parties once a month... so send 'em in, girls! 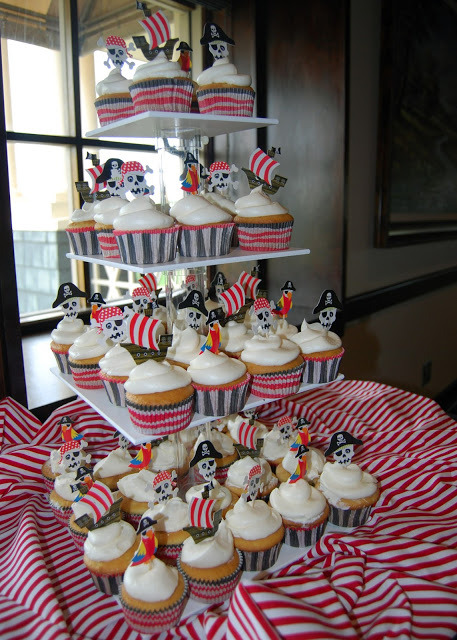 Birthday parties, baby showers, Christmas parties, Halloween parties, graduation parties... I want them all! Once I start getting submissions I'll begin organizing the posts! If you will simply send me an email with the link to your blog post detailing the party that would be fantastic! And please make the subject of the email "It's My Party - Your Party Name". I can't wait to check them all out and share!!! It's pretty obvious that last month in our house was birthday month. 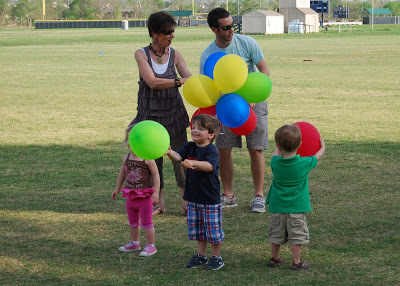 Although birthday month has come and gone, today I thought I'd share a quick recap of my kids parties over the years! Planning and hosting parties for my kids is one of my favorite things to do and I love browsing kids party themes on Pinterest and seeing other people's creativity and talent at work. Luke's 2nd Birthday - Caution! Birthday Zone! Two-year-old Luke LOVED him some construction trucks.... we used to grab Sonic drinks and park somewhere just to watch them. A construction party was the only appropriate theme! 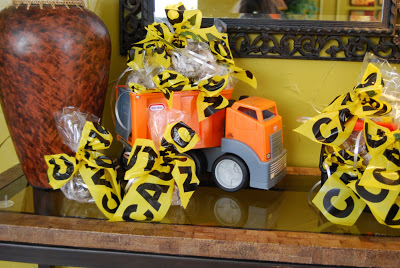 I purchased a $5 roll of caution tape and went to town! 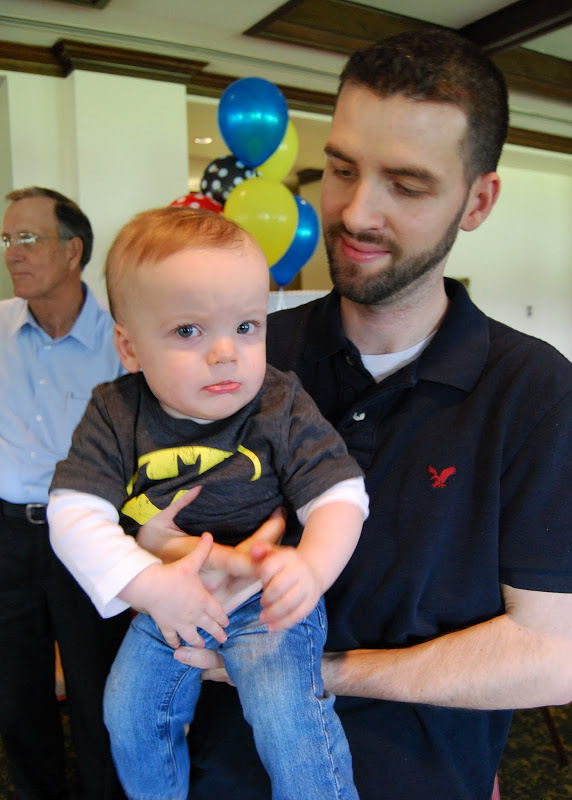 Luke's 4th/Mason's 1st - A SUPER Party! Maybe it was "skipping" planning Luke's third, but whatever it was I legit lost my mind on this one. And can we just talk about Mason in the pic below? I die. This was kind of our one last hurrah before Griffin was born and we had so much fun! 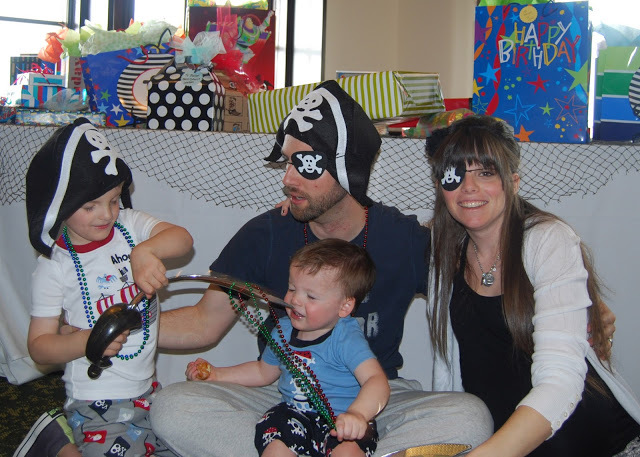 My favorite birthday party to date was the combined party I did for all three kids. It was a monster theme and I had THE BEST time putting it all together! I drew and painted the monster beanbag toss, made their party shirts and just love how everything turned out. 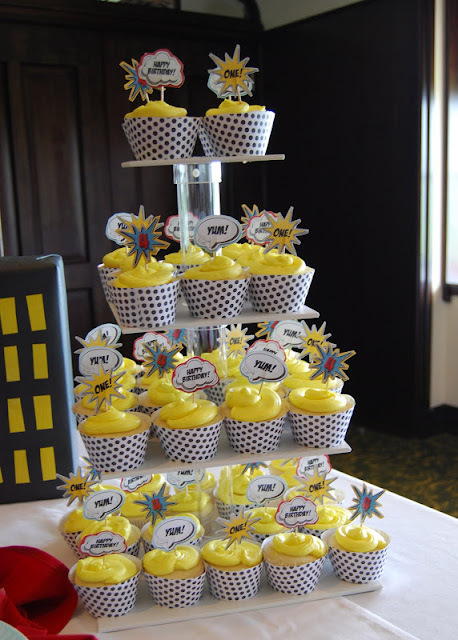 It was so special to get to do a TRIPLE party! Last year Luke requested Minecraft (of course!) and it was probably the hardest party for me to put together because I really don't "get" Minecraft ;) Pinterest was totally my friend for this party! The weekend after Luke's party I threw Mason his special request - a Sir Mason and the Knights of the Rectangle Table party ;) I'm not sure why he wanted knights, but I had a blast with his theme of choice. The day after Mason's knights party we shared some of Griffin's favorite things (cupcakes, necklaces, bows and PINK) with a few of her little girlfriends (and Mason). 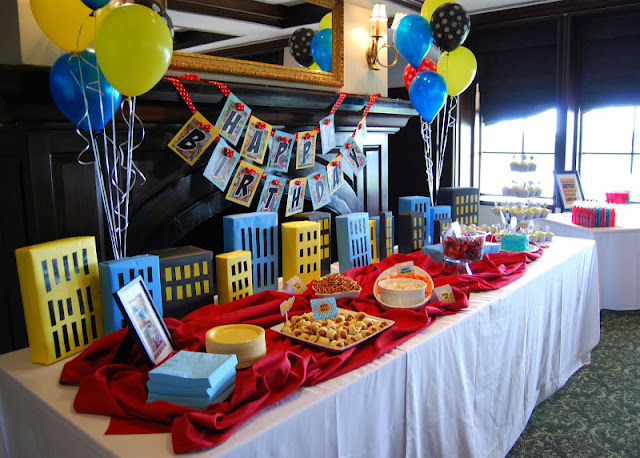 This year I let go of some of my party planner OCD and let Luke plan his own party. He had a few boys over for pizza, a trip to the arcade and a sleepover. Easy peasy and officially dubbed "the best party ever!!!" And the latest party was a combined flamingo and camouflage party at a local children's museum. Super easy and super fun. That's a WHOLE lot of partying! I hope you enjoyed my little trip down birthday memory lane! You are the party planning queen. I love getting an invite to an Andrea party!! Just too many great party ideas in one post! Each one is so creative, unique and personal! So very creative!!!! Love reading about your parties! These parties are the best! My mom always did themed parties with us when we were younger, and it's something I always remember--not the gifts I got, but the parties! Your kids will be the same! I LOVE all your parties!! Your creativity abounds! Such fun memories for your sweet kiddos:)Prayed for your move and transition to the new house this morning:). Wow you are super mom. I love your parties! 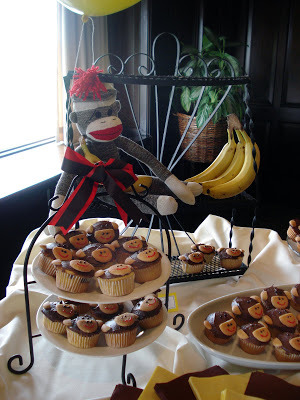 Preparing and decorating for parties is totally my jam too so I'm going to send some your way! I feel like I need to save this post forever to help with birthday party planning in the future. Our little is just 8 months old and I'm already starting to think about his party! Nothing I love more than a great party! Currently planning a mickey party! Can't wait to follow along. You throw the best parties! Seriously! I love party throwing, doing an Avengers theme next month...need to get on that!